Another two-fer! A very late link up to the July Wednesday book reviews from fellow bloggers hosted by Carolyn Astfalk and Catholicmom.com. I finally, FINALLY read the gem Humanae Vitae. This encyclical was “given” (how nice a turn of phrase! like a gift is given) on July 25, 1968 by Pope Paul VI. 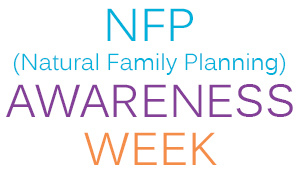 Annually, NFP Awareness Week is celebrated at this time to commemorate the anniversary of this life changing document. And yes, it is a gift. Though I’ve mentioned this encyclical before, I actually had never read it–not all the way through. And now that I have? My, what a beautiful meditation on marriage and humanity. I particularly liked the sections on God’s design for marriage and married love (8 & 9). Those paragraphs should be inserted into every wedding liturgy homily. Also wonderful? How Paul VI clearly communicates the Church’s authentic mercy for families. He and the Magisterium got it–all the way back in 1968–got how the world has its trials, how couples may have a serious or reasonable rationale for delaying or spacing pregnancy, and how it is okay to use God’s wonderful design to do just that! Of course, true mercy does not involve flouting morals, for how can you be merciful if you care so little for the soul? Further, he calls upon everyone to essentially fix the world so that family life can be improved. His proscriptions for politicians, doctors, scientists, etc., show that the Church doesn’t want to just leave us hanging. And in the case of Catholic doctors and scientists in particular, some people have taken this message to heart. We have incredible advances in fertility awareness methods, as well as NaProTechnology. Section 15 does address use of certain elements strictly for therapeutic means–I bet he’s smiling in Heaven to know that doctors are continually working to treat and cure bodily diseases with God’s own design of the human body. However, I am sure he is displeased that his predictions (17) have come true. I’d read about them before, but seeing how precisely he laid it out was humbling. One that stuck out to me that’s not mentioned as much was this: “There is too much clamorous outcry against the voice of the Church, and this is intensified by modern means of communication.” (18) Facebook or Twitter fights, amirite? I really feel like if we as a society could just take time to fully listen, to fully engage with such documents as this (and Pope St. John Paul II’s Love and Responsibility, whose philosophy on the human person can be traced to elements in HV), there’d be less clamor and less outcry. Another disappointment was in what solutions have not been fully realized. In particular, I feel that some priests have shirked their responsibility in answering the Vicar of Christ’s call to accompany couples as they live out these teachings. While some priests and bishops are quite vocal in their defense of the teachings of marriage, I’ve heard stories of others, who, especially when it comes to the beauty of the why of NFP, do not have “stamped in the heart and voice…the likeness of the voice and the love of our Redeemer.” (29). Don’t forget! If you want to use a sympto-hormonal form of acceptable spacing births, Simcha Fisher is giving away ClearBlue fertility monitors! 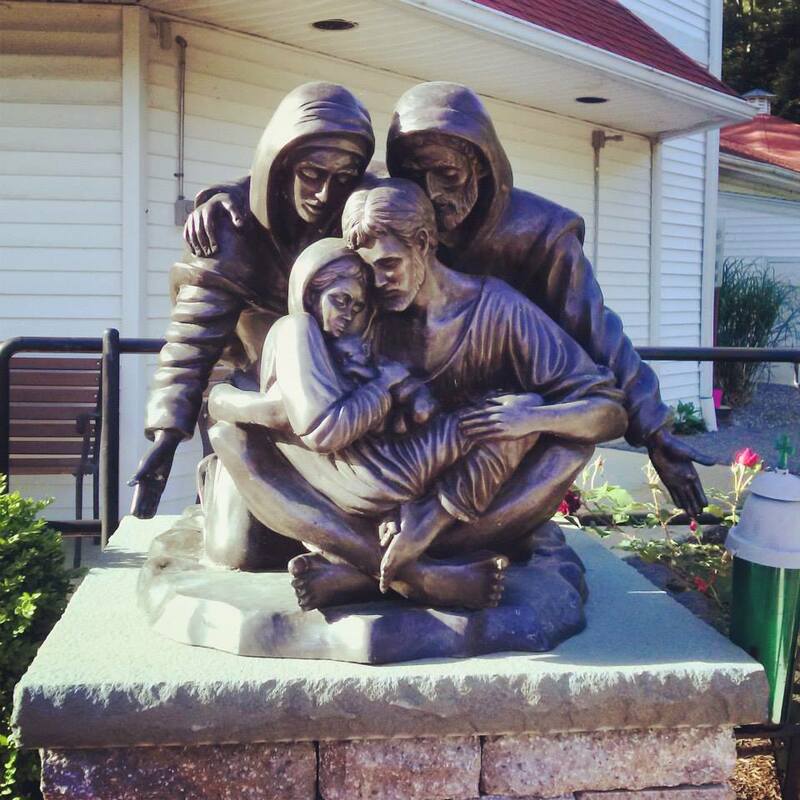 The Holy Family Generations statue at the Saint Anne Shrine in Sturbridge, MA. An ancient story dating to the first centuries of the Church’s life recalls how Saints Anne & Joachim, like Abraham and Sarah, were scorned by their neighbors because they had no children. Years of longing did not weaken their trust in God, but grief eventually drove Saint Joachim into the wilderness to fast and pray. Saint Anne, remaining at home, dressed in mourning clothes and wept because she had no child of her own. 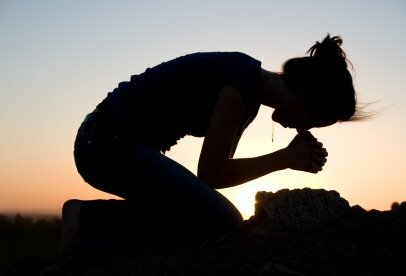 Seeing her mistress distressed, a servant girl reminded Anne to put her trust in God. Saint Anne washed her face, put on her bridal clothes and went to a garden to plead with God for a child. Angels appeared to Saint Anne in her garden and Saint Joachim in the desert, promising that, despite their old age, they would give birth to a child who would be known throughout the world. The new parents ran to meet one another at Jerusalem’s Golden Gate, and with a kiss rejoiced in the new life which God had promised would be theirs. Saints Anne and Joachim are powerful intercessors for all married couples, expectant mothers and married couples who are having difficulty conceiving, as well as all who have grown old. I’m not sure why (but if someone knows, please do tell me!) 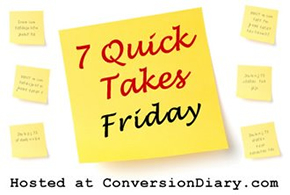 Saints Anne and Joachim are honored during NFP Week, but it does make sense. Take these words from Catholic Online: “It was their teaching that led her to respond to God’s request with faith, “Let it be done to me as you will.” It was their example of parenting that Mary must have followed as she brought up her own son, Jesus. It was their faith that laid the foundation of courage and strength that allowed her to stand by the cross as her son was crucified and still believe. ” First, the core of NFP is saying to God, “Your will, not mine, be done.” And NFP requires a strong faith, courage, and fortitude to live out God’s plan for love. Finally, as Simcha Fisher points out in her book, NFP can be a cross. It is sacrifice. And couples making this sacrifice can look to the holy parents for perseverance of faith. Perfect post for this week when comparing NFP with artificial contraception. Catholic Sistas on why we DON’T use birth control. A great resource on NFP! Plus blog graphs! IUseNFP. Like graphics? 1flesh.org has more! Plus, it has stories from real women! Like stories? The delightful Haley at Carrots for Michaelmas started a series called Women Speak on NFP. Check them out! THIS sounds AWESOME!!!! Women’s Health Care that focuses on the body, not giving you drugs! Hilarious. Frank. Encouraging. Blunt. Wish there was more. TMI. This book is all of these things and more. What it is is a collection of essays by Mrs. Fisher. You might recognize some of the content from her blog “I Have to Sit Down” and columns for the National Catholic Register online. Those selections have been edited and incorporated into this book to form a cohesive point, which you get to by the end. Meaning, you essentially have to read the entire thing to see the big picture. But that’s okay–one chapter builds off another. And they’re an engaging read. The brilliance of this book is that you can also get the same great reading experience a la carte if reading one chapter at a time. You may find yourself wanting to go back again and again to the one on discerning God’s will—even when you’re discerning something other than a pregnancy. What I loved most about Mrs. Fisher’s tone is how non-judgmental she is. I am a bit of a weirdo in that I read family life forums, worked on materials that edified readers on NFP, and write about it myself, so I know there’s a whole lotta judgment—too many kids; too few kids; just reasons; selfish reasons. In one chapter, Mrs. Fisher lays out (like I tried to do the past few days) different scenarios in which concrete human beings anonymously lay out their thoughts for wanting/not wanting another baby at a particular point in time. She presents the very human face of NFP. So you may think that if I’m in love with how human her approach is and how pastoral that feels, why, when I sometimes beg for no “cross” language in responses to young people on this issue, do I rate this book so highly when the ultimate point is about the cross? Because the cross is a very human thing too. What Mrs. Fisher’s writing did for me is to realize that. Jesus went on the cross because he was human—if we didn’t tap into that and relied only on his divinity, he could’ve ascended to Heaven from the Garden of Gethsemane. But no. He needed to die a very human death for us very humans. Jesus was on the cross for us humans. In embracing the cross, he procured our salvation. We humans are called to be like Jesus. And to do that, we must take up that very cross to procure our salvation. The easiest answer to give to the proverbial girlfriends regarding NFP and birth control is the hardest one for them to take: like it or not, we have a cross, and there is a purpose to that cross. Crosses are hard, and the side effects uncertain. And even if maybe someday there will be a magic device that takes one reading one time a day and gives us as much ease and clarity in predicting fertility, NFP will always be a cross. Because the cross is not in the method, but the decision to give of one’s self or not. In that light, the Pill seems to be the greater cross: a daily decision to not give your all—the weight of that burden—and to what purpose?